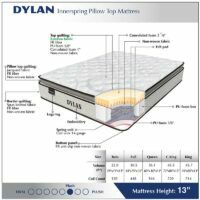 The Dylan by American Star is a 13″ innerspring mattress with an anti-bacterial Bamboo fabric pillow top. 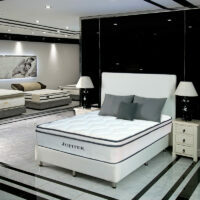 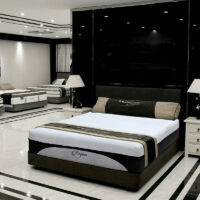 Made by American Star, the Jupiter is an extra soft innerspring mattress with a plush top. 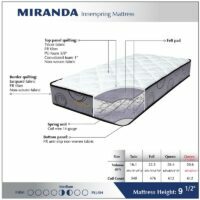 The Miranda by American Star is a medium soft innerspring mattress with quilted panels. 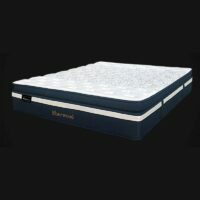 Queen also available in an 11″ dual-sided high quality quilted panel edition. 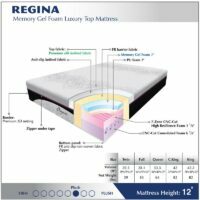 The Regina by American Star is a memory gel foam mattress with silk-knitted fabric and zippered cover. 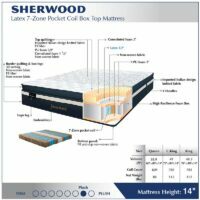 The Sherwood latex mattress by American Star features a 7-zone pocket spring system that is designed to conform to and support your individual body shape. 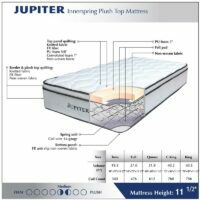 It helps to distribute your body pressure more naturally from head to toe. 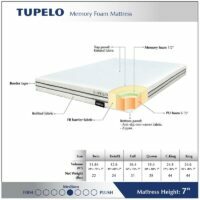 The Tupelo by American Star is a memory foam mattress with zippered cover and anti-slip bottom. 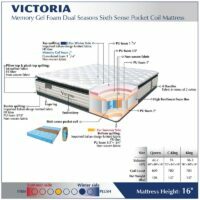 The Victoria is a dual-sided memory gel foam mattress with one designed to stay cool in the summer and the other, warm in the winter.